UN warns that humanitarian agencies are running out of resources to assist those affected by the floods. More money is needed for the Rapid Response Plan and the UN urges the international community to step up. ISLAMABAD: The United Nations has warned that humanitarian agencies are running out of resources to assist those affected by floods in Sindh, even as the need for basic items, shelter and health services increases among more than five million affected people. The UN appeal for $357 million under its “Pakistan flood rapid response plan”, launched two weeks ago, has received only $19 million so far, an official said here on Saturday. “Urgent relief is critical as families continue to suffer in the aftermath of the floods. 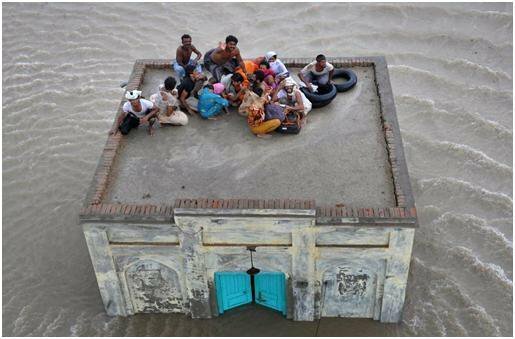 Unless we receive new pledges to the Floods Rapid Response Plan, millions of people will be left in need of food, clean water and essential medicines for months to come,” UN Coordinator for Pakistan Timo Pakkala said. “We are grateful that donors have started to give to the Rapid Response Plan. But to ensure that we can help save lives now as well as tomorrow, we call on the international community to urgently step up their support for the people of Pakistan through this plan,” he added. Humanitarian agencies have food stocks that will last a month, while drinking water and emergency shelter materials are likely to run out in weeks if not replenished, according to the UN Office for the Coordination of Human Affairs. UN agencies estimate that 2.5 million people desperately need safe drinking water and sanitation facilities. Food is required for 2.75 million people, while 2.96 million people are in urgent need of medical care. At least 1.75 million people require emergency shelter. The UN and its humanitarian partners have so far provided emergency shelter for 314,500 households. More than 1.6 million people have received medicines and medical consultations, and 413,000 people have received food. Safe drinking water has been delivered to approximately 200,000 people and the UN aims to provide in coming weeks safe water to more than 400,000 people. If the needed funding does not arrive, the UN and aid agencies will run out of food stocks some time next month. Drinking water supplies and stocks of emergency shelter will last only a few more weeks and a third of the flood-affected population could be without medical care in a month’s time. The World Food Programme plans to increase deliveries in October to cover 2.55 million people in Sindh and Balochistan over the next four months. The WFP has prepared its one-month ration packet in the light of a recent national nutritional survey which has highlighted alarming levels of malnutrition in Sindh. The ration, alongside the general family food basket, includes high-energy biscuits and ready-to-use supplementary food to address nutritional decline among the vulnerable groups. A WFP-Unicef programme on community management of acute malnutrition is being expanded to include the disaster-hit districts of Sindh in an effort to provide treatment to young children and lactating mothers. A joint rapid initial assessment has been conducted in 11 flood-stricken districts of Balochistan. Preliminary data suggests that food is the most urgent need there.